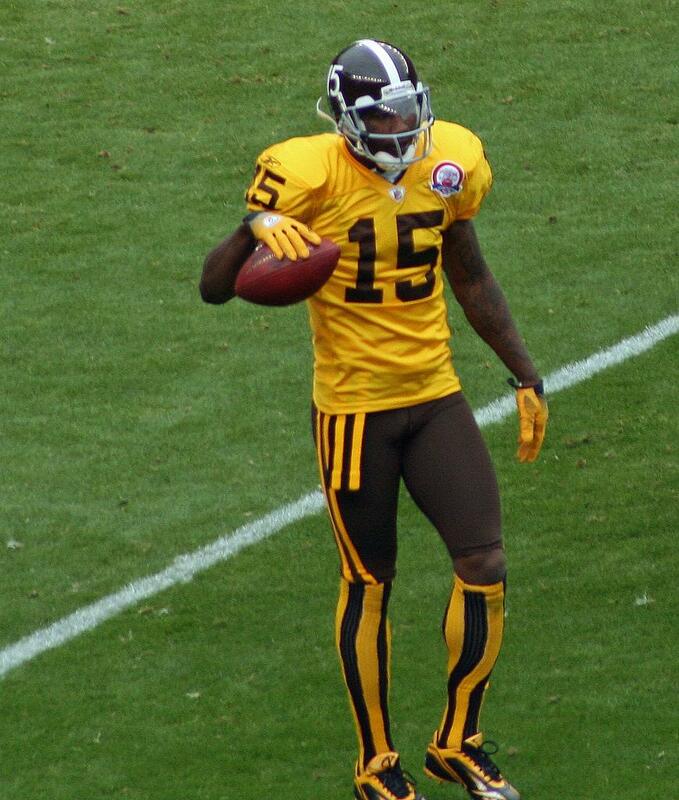 Brandon Marshall epitomizes the unpredictability of determining the mental-emotional makeup of a player making a successful transition to professional football. Photo by Geoffrey Beall. This is my seventh year studying the on-field performance of football players. I can say unequivocally that I know more about the techniques and strategy of the game than I knew when I began. I’m also beginning to realize that I have learned just as much about player evaluation during the four months I have spent creating content for this blog. However, much of what I have learned from my interviews of colleagues has less to do with technique, strategy, or what to physically seek from a player and more to do with what none of us know. How a player will manage the great emotional divide that must be crossed in order to transition from college talent to productive pro. The process is something that my friend and colleague Sigmund Bloom describes as trying to gain a complete view of a scene when the vantage point is through a keyhole. We only have clues that help us determine whether a player is equipped to cross this break. Former NFL Scout Dan Shonka recounts his moment of epiphany when he saw Peyton Manning alone in a darkened gym well into the night working on his drops. NFL Films producer Greg Cosell raves about Michael Irvin’s dedication as a student of the game and says the oft-troubled receiver was nothing like his public persona. ESPN’s Matt Williamson, a former Browns scout, was part of a personnel evaluation team that opted for the abundantly talented – and ultimately immature – Braylon Edwards. Priest Holmes believing in his skills despite a knee injury at Texas that relegated him behind Ricky Williams, going undrafted, and then playing behind an elite talent in Jamal Lewis before earning his shot in Kansas City. Tom Brady losing his starting job at Michigan to prized recruit Drew Henson, getting drafted in the sixth round, and working behind Drew Bledsoe – a No.1 overall pick and Pro Bowl-caliber signal caller – until injury gave him a crack in the door that he blew wide open. Terrell Davis transferring from a college program that shut down to a loaded University of Georgia backfield headed by top prospect Garrison Hearst, mislabeled as “soft” by head coach Ray Goff, and ultimately drafted in the sixth round where in short order he rose from special teams candidate to starting running back. In contrast, the Arizona Cardinals selected Garrison Hearst early in the first round and Buddy Ryan questioned Hearst’s toughness. After stints in Arizona and Cincinnati, Hearst flourished in San Francisco and eventually flashed the ultimate form of mental toughness to battle back from what was considered a career-ending foot injury that sidelined him for two seasons and play productively for another three and a half seasons. Another Arizona Cardinal runner, Thomas Jones, struggled to earn the starting job as the 7th overall pick and ultimately didn’t produce a 1000-yard season until his fifth year – a point where most backs in his situation would be former backs. Jones then reeled off five straight seasons with at least 1100 yards. Kellen Winslow, the sixth overall pick in the 2004 NFL Draft, initially seemed more enamored with his youthful feeling of immortality than approaching his career like a professional. A failed motorcycle parking lot stunt show later (which caused the life span of Winslow’s career to flash before his eyes) and a year off that left him with a knee that would never be the same, Winslow is a good starter but not remotely the perennial All-Pro he should have been. Tiki Barber went from an underwhelming second-round pick with big-play skills and ball security issues to a steadily spectacular load carrier in his sixth season that included five consecutive years with at least 1600 yards from scrimmage, including two seasons with 2000 total yards. Fourth-round pick Brandon Lloyd always flashed a penchant for the incredible catch, but he seemed more concerned with life off the field than the work required to be consistently great on it. 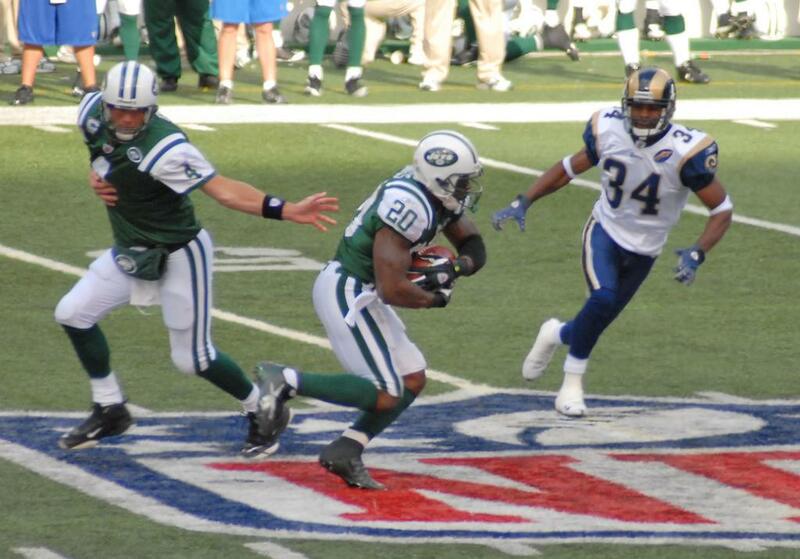 After seven seasons as a disappointment, Lloyd had a 1400-yard, 11-TD season in 2010. Many of these story lines seem like exceptions to the rule, but are they really? Whether the obstacles come early (Jerry Glanville dismissing his team’s draft choice Brett Favre as a wasted pick – granted Favre allegedly showed up to practices hung over); in the middle (Ricky Williams’ difficulties with self-medicating an emotional disorder); or late (Dan Marino rupturing his Achilles in the 11th season of his 17-year career), most players experience hardships during their career. Brett Favre and Thomas Jones are two examples of players overcoming early-career hurdles to become productive NFL players. Photo by GMO66. If anything, the exceptions to the rule might not be the presence of obstacles but the absence. The life of a pro athlete has an abundance of blessings. However these blessings are earned and maintained through efforts and talents to function in an environment that 99.99 percent of football players in the world cannot. Does your job require you to perform before the public? Is your production tracked weekly, posted publicly, and scrutinized by a public audience and the mass media? When you make a mistake at work is there a strong likelihood of facing a hostile media and angry public in addition to an unhappy group of co-workers? Is your family targeted with public hostility when you make a work mistake? Does the nature of your job have a high probability of physical injury and long-term disability? Is your pay public knowledge? Is there a consistently fierce level of competition for your job? I think most people can answer “yes” to 1-3 of these questions, but few careers incorporate all seven points. Considering that 70 percent of the public says that their job is the greatest source of their daily stress, it’s understandable why an immensely talented player like Michael Westbrook or Ricky Williams could come to dislike the profession of football. Incorporate the daily stresses of life into the mix: a sick spouse or child; financial difficulties of a loved one; or lack of sleep due to illness, physical pain, or injury. Then add common things that football players and their families must face: strangers saying abusive things to your family after a bad week at the office as well as every newspaper, blog, or television show questioning your character. Limited instruction (at best) with approaching the mass media. Limited experience (at best) with financial management. An inflated sense of his abilities relative to the demands of their profession. Minimal experience planning a schedule that includes a balanced approach to training, diet, study, and sleep. Minimal experience balancing work with recreation. Nothing on this list even addresses the issues API Director Travelle Gaines accurately cites when it comes to sudden fame and riches that often magnify the issues for a young pro athlete just the same way they do with entertainers. Think about your early adult relationships with family, friends, and lovers. Now try to imagine discerning the difference between the wants and needs of these people as well as learning what you should be expected to provide when you’re making more money in a year than most of our society yet there’s highly limited window to make it and most lack the perspective to understand how small that window really is. This transition from a college life with a strict schedule to a profession with much higher physical, mental, and emotional expectations and far fewer rules is often difficult for most college graduates not to mention people coming from abject poverty and physically and/or emotionally abusive families. Even average citizens from relatively stable family situations routinely face difficulties with the transition. Now imagine entering the hyper competitive environment of the NFL where the gap in athleticism and skill among the employee base is exponentially narrower than any football environment where they’ve competed. If they lack the discipline, perseverance, and life skills to create a stable environment to focus on continuous physical, mental, and emotional self-improvement as a pro football player that transition from All-American to NFL player can range from difficult to impossible. Based on my conversations with those connected to the NFL it’s very clear the players are a microcosm of society at large. Whether it’s the promising young player who breaks down crying after the game because he got chewed out by a coach in front of his teammates; the veteran struggling to play at his physical peak because he spends sleepless nights worrying how he’s going to continue to support a dysfunctional lifestyle; or the unproven, but highly talented small school star who gets cut or buried on a depth chart because he started to believe those who never gave him a chance and stopped working like the future starter he could have been, NFL players have the similar emotional challenges on sometimes a more intense scale as the rest of society. What I have learned – as well as most of my colleagues – is that no matter how talented, how skilled, or how cool, calm, and collected these young players carry themselves – no one every really knows if they’ll succeed until they’ve spent at least a couple of years under the bright lights and harsh glare of not just the NFL, but the lifestyle frequently offered with it. If you think I’m trying to make you feel sorry for the players then you have the wrong idea. I don’t think you should feel any more empathy for them than you do for others in our society as a whole. However, the point I hope I’ve made clear is that evaluators can be 100 percent right about a prospect’s physical and technical potential as a football player, but 100 percent wrong about his emotional makeup to make a life transition that is vastly underrated in difficulty. Joey Harrington and David Carr seemed like excellent prospects from the perspective of maturity and emotional stability while Brandon Marshall or Michael Irvin could be perceived lacking what Harrington and Carr possessed. Clearly there is no single formula to create the right emotional makeup to make the transition to the NFL and maintain a successful career. If you maintain the idea that the transition from college to pro is a great emotional divide that every player must travel, you’ll have greater perspective about a player’s success or failure regardless of the odds stacked in their favor or against them. Great article, as usual. What are some methods used to try and judge how players will deal with the NFL life? I have hear of the extensive background check and interviews with anyone who knows anything about the player. Any testing or other processes that help filter some of the players out? It is impossible for me to root for guys that have to take the tough road to the top. Guys like James Harrison, Cameron Wake, and Fred Jackson come to mind. Also, speaking of Jackson, Belichek recently characterized him as a running back with no weaknesses. Have you ever scouted him? Nfl: what seperates the NFL Star from the draft bust? Matt Waldman breaks it down in this post. Give him a follow if you are a student of the game. Mark Schofield's RSP Scouting Lens: QB Kyler Murray (Oklahoma), Is He a Mold-Breaker?